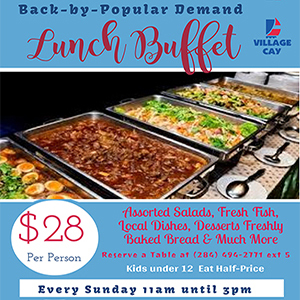 PRESS RELEASE – The local basketball team Bayside Blazers, founded in 2014, was on April 14 hosted for a tour and lunch at the world famous Oil Nut Bay, on the island of Virgin Gorda, BVI. 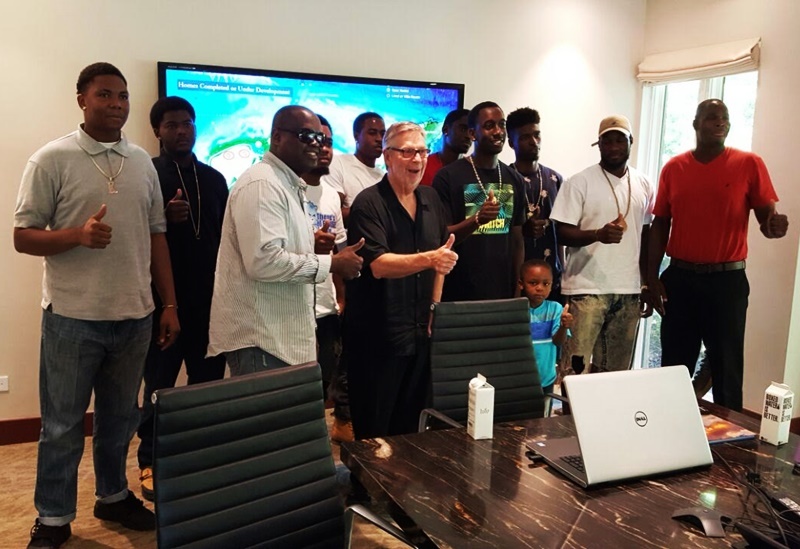 Both members and players from the junior Bayside Blazers and the senior Basketball team were in attendance, and were invited by the owner of Oil Nut Bay who is millionaire Mr David V. Johnson – the Chairman of Victor International. Oil Nut Bay is a sponsor of the Bayside Blazers Basketball Team. Once on the high-end property, Mr Johnson gave the team a motivational speech on what it takes to succeed, relevant life lessons about his businesses, winning, and his injury in a pool accident when he was just 28 and was told he would never walk again. Mr Johnson, a visionary developer, has spent more than $100M of his own money on infrastructural development for Oil Nut Bay located on the eastern tip of Virgin Gorda. The multi-million dollar Oil Nut Bay Project, when completed, will include high-end homes for sale that could range from $20M and up, with its own water and electricity, sports facilitates, children’s centre, a marina village with over 91 berths, shops, and a second restaurant – to name a few. Many North American and European rich and famous have already purchased completed homes on Oil Nut Bay, as the project is expected to be ongoing for another ten to fifteen years, pumping money into the local British Virgin Islands economy. 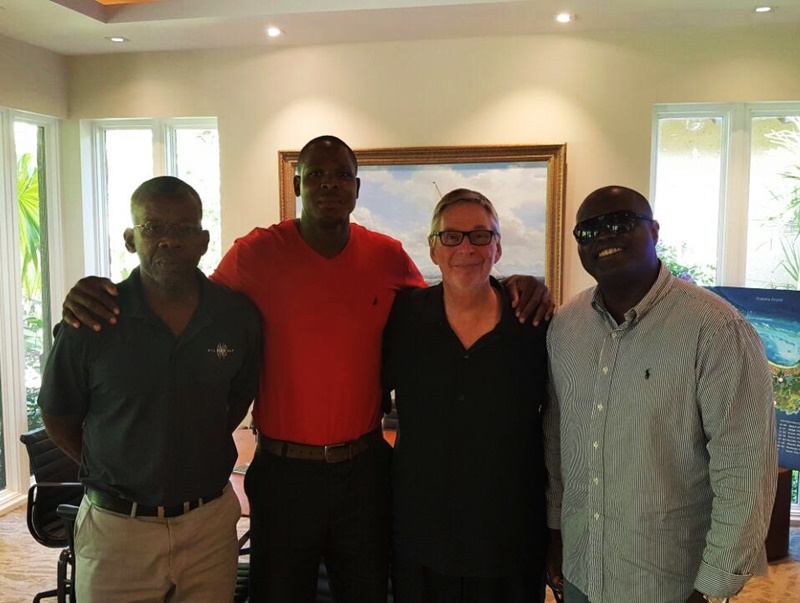 Besides sponsorship of sporting events, Mr Johnson, through his Victor International, has dedicated a foundation to supporting social events on Virgin Gorda, according to Senior Executive Clyde Lettsome, who was also instrumental in organising the teams’ visit. Bayside Blazers Manager Julian Willock said the members and players who were able to make it out on ‘Good Friday’ were impressed with the development, along with the “wise words from Mr Johnson”. He added that he trusts that some of the Bayside Blazers players will also embrace the “entrepreneurial spirit of Mr Johnson and become the next local millionaire developer”. Bayside Blazers, in 2014, won the Championship rings in the Hon Julian Fraser Save the Seed National Basketball League on Tortola. In 2015 and 2016, they also participated in the same League, making the play-offs in both years. In 2016, Bayside Blazers were the men open’s Champions in the now popular K & J 3 on 3 Basketball Tournament. In addition, just about two weeks ago, Bayside Blazers won the 16-18 Championship in the K & J Tournament – a first for the newly formed Junior Bayside Blazers. The senior team made the K & J 3 on 3 Championship men playoffs, but did not win. This year, Bayside Blazers will have a ‘B’ Division Team in the Federation League in Road Town, Tortola, and they are considering both a Jr and Sr team in the Hon Julian Fraser Save the Seed League, according to their Head Coach. Persons making the trip on April 14, 2017 to Oil Nut Bay, Virgin Gorda, besides Mr Willock, were Bayside Blazers Head Coach Rhennie O. Phipps; players Dion M. Blyden, Ryan R. Alfred, Frankly L. Penn, Kimani T. Stevens; and a baller who played with the team for the 2017 3 on 3 K & J Tournament, Killven M. Samuel. In addition, the Junior Bayside Blazers players in attendance were Devante A. Brewley, Jachoy M. S. Walwyn and Nixon M. Hamilton. 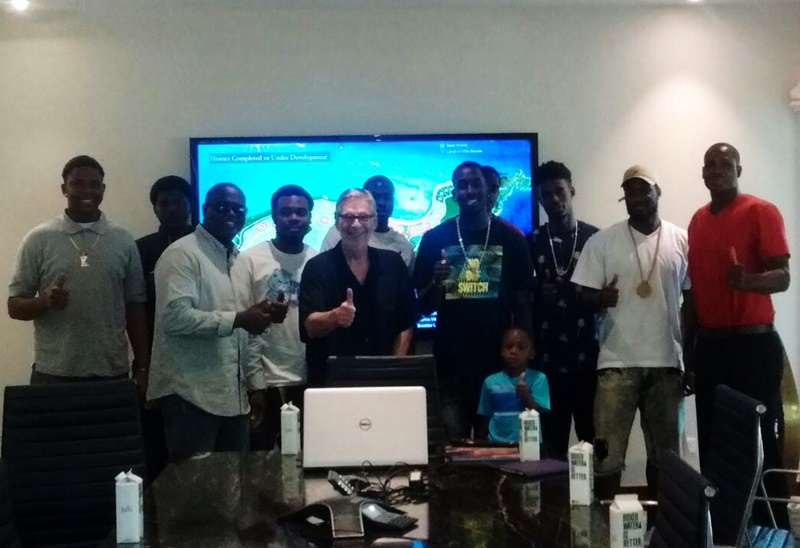 Bayside Blazers has attracted many of the Territory’s top basketball players as well as overseas players from Trinidad and Tobago, St Kitts and Nevis, and the United States Virgin Islands.